In Kenya, institutional investors have always taken the lead in the trade of fixed income securities like bonds, but a recent development is set to change that. Earlier this week it was reported that Kenyans will now be able to open Central Bank depository accounts from their phones using their mobile money accounts and, without visiting a bank or broker, proceed to buy government paper (buying into a government Infrastructural bond) for a minimum price of 3,000 shillings (which is about $28). This is a huge reduction from the 50,000 shillings minimum investment threshold for Kenyan Government bonds. Called M-Akiba, the product is available through M-Pesa, the mobile money service which was the inspiration for other mobile money services in Africa like the ones we have locally in the form of OneWallet, Telecash and EcoCash. Kenya is looking at raising 5 Billion Shillings with this infrastructural bond which will be opened on the 21st of October. The main objective is to make it easier for regular citizens to access the bond market even if they don’t have a formal bank account. It’s easy to look at this and imagine something similar being tried in Zimbabwe. Like Kenya, we have a huge percentage of the population (45% of the adult population) that has latched onto mobile money as an alternative to formal bank accounts. 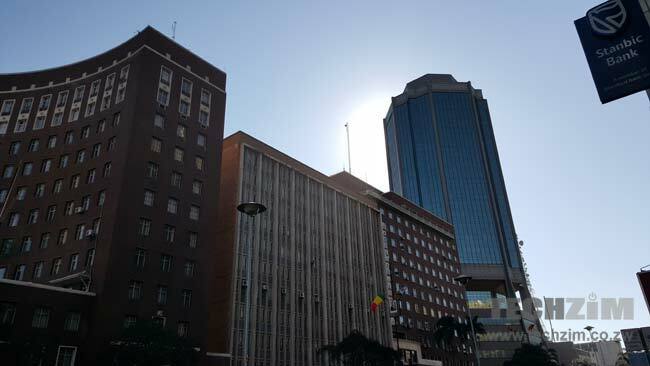 As a result Zimbabweans are not actively involved in investment strategies, something that can be attributed to other factors such as limited disposable income and lack of knowledge on these investment alternatives, and an investment market that isn’t flush with investment instrument options. However, our version of a bond market (which we clearly need to revive and power because of a backlog of projects that need financing – think Power Supply) has been affected by the infamous liquidity crunch and a fair skepticism of government projects. If, however, we do get to a point where there is some momentum created for the Zimbabwean bond market, the use of mobile money in the way demonstrated by M-PESA, could also be an effective tool of getting buy-in from citizens. With the way diasporan inflows are also being fawned at by our financially incapacitated government, this could also be extended to the use of mobile money services that have been introduced for diaspora inflows. There would need to be one other huge consideration, though. Opening it up to all mobile operators, or the best suited mobile money service, would be a more strategic approach. The exclusion of Ecocash and Telecash from the ZESA prepaid tokens distribution might have had its logic drawn from a need to give NetOne a State sponsored advantage, but as Kenya, M-PESA and the involvement of Safaricom has shown, it’s about getting as many mobile subscribers involved in a process that benefits the entire nation. If you check, some time back econet diluted their shares so that it was trading as cents not dollars. reason is they are investigating buying and selling econet shares via ecocash. Interesting comment. How do you know this? Because this is information I would want in on every now and again. Can not really comment on the source. but later on it was made public information in a round about way.. i believe the termis called share splitting. and each share was split 10times. This is all well and good, but unfortunately for zimbabwe only institutional investors have the necessary resources to push the government to pay should it default plus they have capacity and appetite to take on the very real and large risk that the government’s precarious financial position presents.